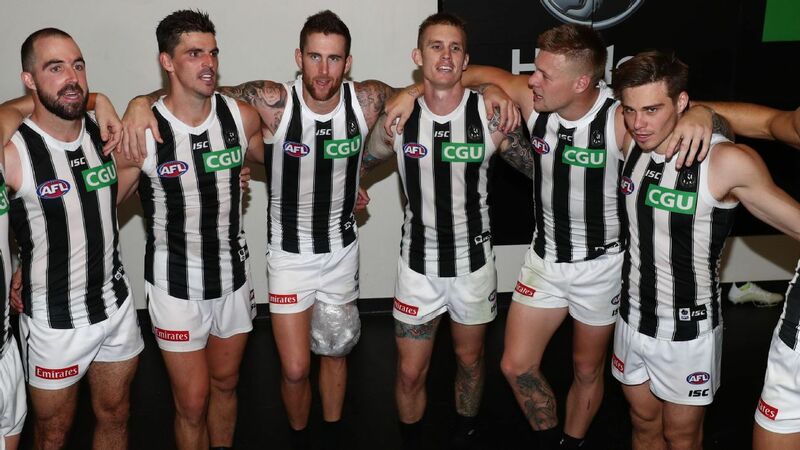 A 10 goal thrashing of Brisbane at the Gabba has reminded everyone what Collingwood is capable of doing when they get their hands dirty and win contested ball, writes Jake Michaels. There was always going to be a game this year where everything just clicked for Collingwood. That game was against Brisbane on Thursday night. It was a clinical performance from Nathan Buckley’s side who ran out 62-point winners, handing the Lions their heaviest defeat since Round 4 last year. Hidden among the doom and gloom about lower scores and conservative coaching, the 'state of the game' is actually quite healthy if close finishes are anything to go by, writes Niall Seewang. The Easter weekend is choc-full of quality AFL action. Here are some of our best bets, brought to you by our friends at tab.com.au. Round Table: Who is the most improved player in the league? Our AFL experts dissect all of the main talking points ahead of Round 5, including which coach is under the most pressure, who the most improved players in the league are and which 3-1 teams will play finals. A line-breaker and strong intercept marker, Vic Country's Lachan Ash looks set to be a first-round pick. Chris Doerre assesses the standout draft prospects from the weekend. North Melbourne finally tasted victory but their star forward needs to be punished for staging, while Jack Bowes lived out every kid's dream. That and more in this week's Heroes & Villains. Two goals in a nailbiting last quarter have given St Kilda a five-point win over injury-plagued Hawthorn. Gold Coast have snuck home in another tight contest to register a third win in four AFL rounds to heap more pressure on the winless Carlton. The Richmond Tigers have secured a seven point win over Port Adelaide in an AFL thriller at Adelaide Oval. Collingwood have eked out a scratchy 14-point AFL win over Western Bulldogs, lifting late on the back of Brodie Grundy's ruck heroics to improve their record to 2-2. Join Matt Walsh, Niall Seewang, Jake Michaels and Christian Joly from Champion Data for some of the best analysis and insight on the ESPNfootytips AFL podcast. Who will be your club's most impactful draftee, breakout contender and the player in line for a rebound season? Christopher Doerre assesses every team following this year's JLT series. 2017 AFL draft: Who are the real top 20? As he continues to assess the top 20 of recent drafts, ESPN.com.au's Chris Doerre looks back at 2017 and gives a surprise top selection in hindsight. You might not have fully embraced the AFLX concept, but there's good reason to support your AFL club's players getting involved, writes Matt Walsh. The challenge: Pick a 'best 18' featuring only one player from every AFL club. The results? Check them out and vote on which team is strongest! The last week of September, if you're Australian, chances are you're watching the National Rugby League or Australian Football League grand finals.